The Gospel for the Mass for the Feast of St. John is John 20:1-8. Following the somber celebration of the martyrdom (death) of St. Stephen (The Feast of St. Stephen on the second day of Christmas), the Church recalls with the beautiful and mysterious discovery of the Resurrection in the Feast of St. John. John, a fishermen, was a disciple of St. John the Baptist until the Baptist revealed Christ’s divinity, calling Him, “The Lamb of God.” Christ draws John into His inner circle (with Peter and John’s brother, James); John witnesses the Transfiguration, helps Peter prepare the Last Supper, sees the Agony in the Garden, is the first apostle to the empty Tomb and is appointed by Christ from the Cross to be the guardian of the Virgin Mary until her Assumption. John’s long life (he lived to his mid-90’s) gave him 60-70 years to live as a Christian; John’s Gospel and the Book of Revelation are divinely inspired revelations of the life of Christ, both during the Incarnation and in Heaven. Despite Christ’s repeated assurance that He would rise from the dead after three days,Mary Magdalene discovers the open Tomb on Easter morning and tells Peter that Christ’s body has been stolen. John arrives at the tomb first but does not enter, presumably in honor of Peter’s authority. Peter, and then John, enter the tomb and discover that Christ’s body is gone but the folded napkin (a small cloth placed over the face of the dead) and the linens that wrapped the body remain. 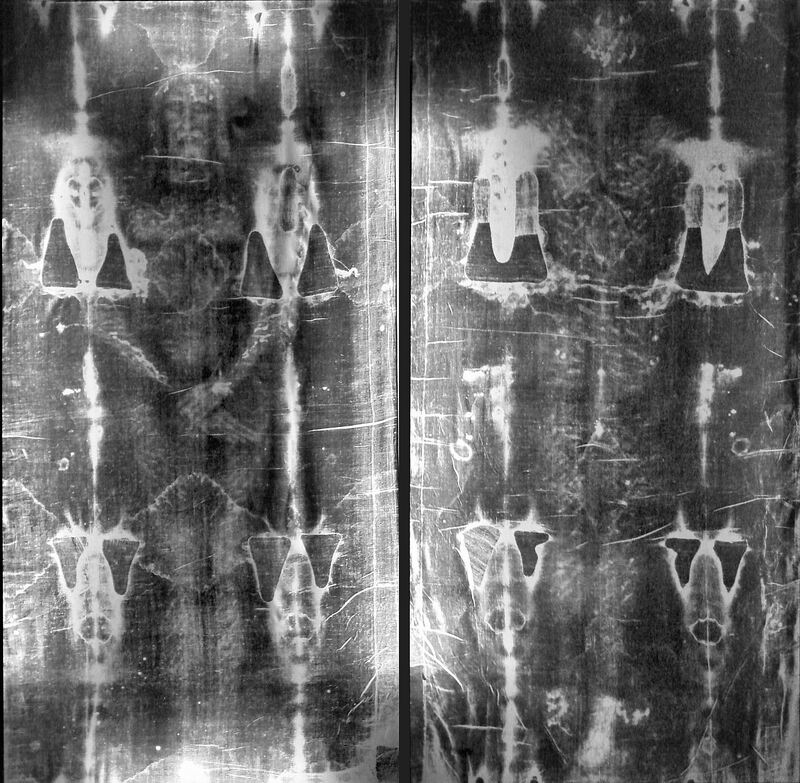 Seeing the linens, the apostles believe Christ has risen from the dead to life; some hypothesize the reason Peter and John absolutely believe is because the linens carry the image of the Risen Christ, as mysteriously preserved in the Shroud of Turin. After Christ’s Ascension, St. John cared for the Blessed Virgin as instructed by Christ until Mary’s Assumption into Heaven. Evangelizing in Jerusalem, Judea and Ephesus, John also oversaw the Churches in Asia Minor (modern day Turkey); John was also exiled for a time on the Island of Patmos. Tradition holds that St. John is the author of the Gospel of John, three Epistles and the Book of Revelation. St. John continues to be venerated at the Basilica of St. John in Selçuk (Ephesus), Turkey. Awed by Jesus Christ – Son of God, Christ is killed and rises from the dead. Divine Prophet, Christ repeatedly and accurately predicts His Passion and Resurrection. Divine King, Christ purposefully identifies and recruits unlikely disciples including Peter and John who lead His Church on earth. Son of Man, Christ leaves the evidence of the linens in the Tomb to convince Peter and John of His bodily Resurrection. 1) Marvel at Christ’s great wisdom in selecting and inspiring St. John to care for His mother, the Blessed Virgin Mary, and to write the stunning Gospel of St. John and the Book of Revelation. 2) St. John is often associated with the image of an eagle given his amazing vision of the implications of Christ’s Kingdom. During Christmastime, reflect upon some of John’s insights including God is Love (John 3:16, CCC 214, 218-221), Christ is the “Word” (John 1:14, CCC 461), Christ’s Great Prayer to the Father (John 11:41-42, CCC 2604), Christ’s Bread of Life Sermon (John 6, CCC 1338) and Heaven in the Book of Revelation (CCC 1137). Aspire in the new year to draw closer to Christ in the Scriptures of St. John. St. John, pray for us! 3) Peter denied Christ three times and abandoned Him at the Cross while John was the only Apostle to courageously accompany the Holy Mother to the Crucifixion; nevertheless, John in obedience to Christ’s designation of Peter as the leader of the Apostles, steadfastly honors Peter at the tomb and in John’s Gospel. During Christmas, reflect upon the Papacy (CCC 880-887. 936-937) and pray for Christ to help you remain obedient to the papacy even if the current pope appears to fall into error. The Gospel for the Mass for the Feast of St. Stephen is Matthew 10:17-22. The day after Christmas celebrates the birth of Christ, the Church reserves for the recognition of the Martyrdom of St. Stephen (Acts 7:54-59). Christ the King establishes His eternal Kingdom and saves His followers through His death and the Resurrection, welcoming them into the Kingdom. St. Stephen (who’s name means “crown”) is the deacon in the early Church who is the first martyr who receives the crown of the Kingdom. After being appointed by the Apostles to the order of deacons, Stephen is challenged to debate with various Jews. Stephen is filled with the Holy Spirit and speaks with wisdom that his attackers can not refute. Unsuccessful, the Jews accuse Stephen of blasphemy and drag him before the Jewish High Priest and the high court. Stephen, full of the Holy Spirit, proclaims the truth about Christ and courageously rebukes the Jewish leadership for rejecting Christ (Acts 7:1-53). Despite the Jews’ insane rage, Stephen looks heavenward and proclaims “Behold, I see the heavens open, and the Son of Man standing at the right hand of God.” They forcefully drag Stephen out the city and stone him to death; Saul (the future Paul) oversees the stoning. Stephen, like Christ, prays for God to forgive his murders (Acts 7:54-60). Looking at today’s Gospel, Christ’s promises have come true with Stephen. Great King, Christ steels the disciples with promises of how He will make them victorious in battle. Rather than meekly submit to all persecution in fear, men are to reject anxiety and to be confident in Christ. Remarkably, Christ promises to send the Holy Spirit to actively speak through men in times of trial. Rather than fearfully denying Christ, men can be super-naturalized with the Holy Spirit. For Stephen’s faith in Christ’s promise, he is welcomed into Heaven as the first martyr of the Catholic faith. Awed by Jesus Christ – Person of the Trinity, Christ reveals that the Holy Spirit is a person of the Trinity and promises the Holy Spirit will be given to men to guide their word in times of persecution. Divine Prophet, Christ accurately foresees the persecution of the Apostles and keeps His promise to St. Stephen. Divine King, He calls disciples to heroic self-sacrifice and, with omniscience, gives precise instructions as to the tactics they are to use. 1) While men often fail to keep their promises due to weakness, Christ never breaks a promise. Reflect upon how Christ’s promises of today’s Gospel are kept during St. Stephen’s persecution. 2) St. Stephen was ordained to be a deacon by St. Peter and the Apostles, establishing the Order of Deacons. Reflect upon the Order of Deacons (CCC 1536-1554, 1569-1600) and pray for Christ to guide and strengthen all men considering a vocation to the diaconate and all deacons. 3) Denying Christ can be outright denial (e.g. “I reject Christ”) or to fail to publicly stand in the Name of Christ when necessary to oppose evil and/or to proclaim Christ to men. Failing to actively proclaim and bring souls to Christ is a sin of omission that is unworthy of a Catholic man. During Christmastime, reflect upon the Necessity of Faith and Perseverance (CCC 161, 1816, 1821) and pray for Christ to give you a heroic faith like St. Stephen. 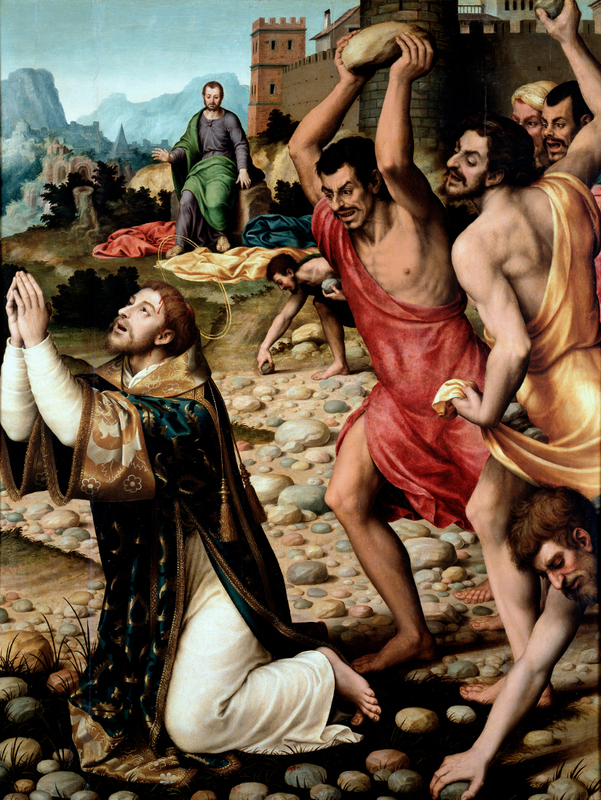 St. Stephen, pray for us! The Gospel for the Mass during the Day for the Nativity of the Lord is John 1:1-18. While John’s Prologue is not top of mind when thinking of Christmas, the Prologue a beautiful and stunning summary of the blessings mankind receives at the Nativity of Jesus Christ. John confirms that Christ is the Son of God who comes into the world to allow all men who receive Him to become adopted children of God and to enter into eternal life. Christ’s identity as the Son of God is revealed. Christ is with God before time and space exists in the beginning before the Creation (Gen 1:1-5). Christ is “with God”, confirming that the Father and the Son are different Divine Persons, and “was God”, confirming the Divinity of Jesus Christ. As the “Word”, Christ is the Father’s spoken word in which God establishes Creation and redeems fallen men through the Incarnation of the Word; Christ is wisdom itself. Christ is the source of life (both on earth and in Heaven), light, truth and mercy, has the power to reveal God (through His miracles and wisdom) and grants men who believe in Him to enter into eternal life. While the world does not recognize Him (1:10) and Israel rejects Him (1:11), those who respond and receive Him are given astounding blessings: to receive enlightenment and truth, to receive faith, to receive truth, to know God, to become sons of God, to receive grace upon grace (truth and mercy), to receive eternal life and to behold His glory. No man can receive these gifts through inheritance, natural birth, or will (v. 13); only through faith in Christ Jesus can men be saved. 1) Ponder and be astounded at Christ’s role in Creation: He exists with the Father before Creation (estimated to be 10+ billion years old) and causes Creation (the known universe is 100 billion light-years wide) to occur (time, space, molecules, stars, planets, life forms, and men who are created in His Image). 2) Ignoring the fullness of Truth in the Word, men chase knowledge, seeking wisdom in the world (academics, science, philosophy, politics, ideologies, “gurus”, etc.). At Christmastime, reflect upon The Word made Flesh (CCC 65-67, 73, 81, 101-104, 241, 461, 2653) and pray for Christ to grant you His Truth in the Eucharist, Scripture and the Magisterium of His only Church. 3) There is a growing darkness in the world as men turn from God and fall deeper and deeper into darkness and death. At Christmas, rejoice the Christ offers the infinite blessing for Men to become Sons of God (CCC 460, 526, 706, 1265, 1692, 1996) and pray for Christ to help you become the son of God you are called to be. The Gospel for the Mass at Dawn for the Nativity of the Lord is Luke 2:15-20. Responding to the miraculous appearance of the angel who announces Christ’s birth and the wondrous apparition of an army of angels who praise God, the lowly and rough shepherds who kept watch over flocks at night hasten to find Christ. Arriving in Bethlehem, the shepherds located the Holy Family amidst the animals in a stable, built in the shelter of a cave. Overwhelmed, the shepherds described in-depth the fearsome appearance of the angel, the announcement that Christ was the long-awaited Messiah and the awe-inducing sight of army of angels worshipping God; while it is unclear who else was present besides the Holy Family, all wondered (to be astonished – “to be thunder-struck”). However, rather than being astonished, Mary quietly observes God’s miraculous acts and mediates deeply upon them in her heart. The shepherds, men who were poor, coarse and at the bottom of the social ladder in Israel, have experienced supernatural experiences that fill them with awe. After being terrified and fascinated by an army of angels, the shepherds are then awed to be in the Presence of the Lord, the Immaculate Conception and St. Joseph, the holiest of men. Afterwards, they leave, transformed from the most lowly of men to being witnesses to the Incarnation, the first to begin to spread the Good News of Christ’s birth. Awed by Jesus Christ – Son of God, Christ’s birth is miraculously announced to shepherds, filling them with both fear and joy and compelling them to search and find Christ in Bethlehem. 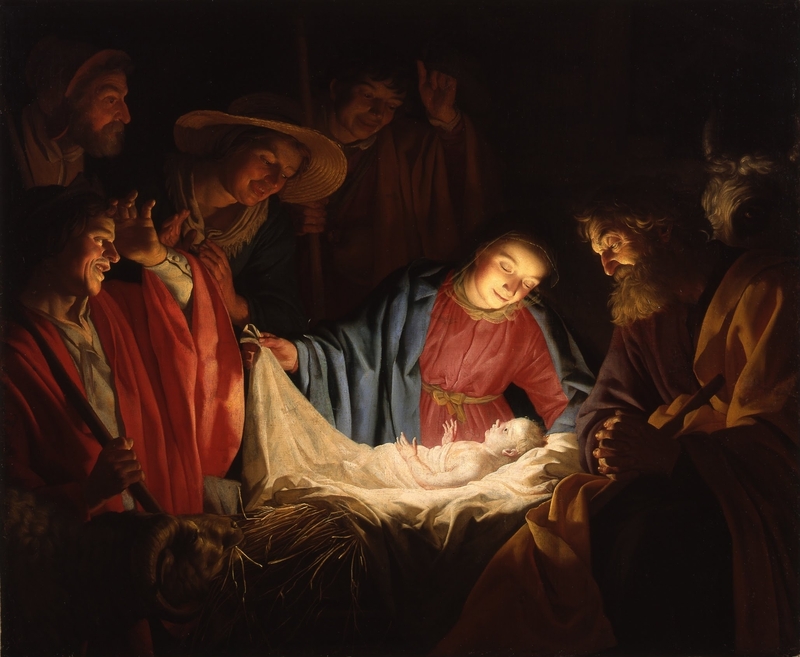 Son of David, Christ is born in David’s home town of Bethlehem as prophesized in the Old Testament. Son of Joseph and Son of Mary, Christ trusts His earthly care. 1) Marvel at how the Father sends angels to shepherds who come to Mary and Joseph and give them the great consolation of knowing that their child is Christ the Lord and that an army of angels are praising the Father for Christ’s birth. 2) Luke’s use of the phrase, “But Mary kept all these things, pondering them in her heart”, confirms that his source for the details of the early life of Jesus was Mary herself; only Mary could reveal her meditative response to the birth of Jesus. Slowly read Luke’s Infancy Narrative (Luke 1-2) and be awed that they are the Virgin Mother’s own recollections of the early days of the Incarnation. 3) Mary must have also pondered with great awe the mystery that she was not only the Mother of God but remained a virgin. Ponder the Perpetual Virginity of Mary (CCC 495-511) and pray for Christ to help your awe increase your faith. The Gospel for the Mass at Night for the Nativity of the Lord is Luke 2:1-14. Despite the incessant schemes of men, the birth of Christ reconfirms God’s dominion over all of Creation, including the lives of men. The first line in Luke’s Nativity account reveals the great darkness in the world: the Roman emperor Caesar Augustus, known for his oppressive control of Israel (and much of the world) was hailed as a “Son of God” and the “savior of mankind” of the world. As part of the oppression, Caesar through his governor Qbirinus, demanded a census, a counting, of people in order to raise more tax/tribute money. By threat of persecution (and death), Joseph is compelled to travel (90 miles) to his home town to be counted; Mary (and Jesus) travels with Joseph because she is in the late stages of pregnancy. Caesar unknowingly is used by God to fulfill prophecy about the Messiah. Joseph’s return to Bethlehem fulfills prophecy: King David, Israel’s greatest king was anointed king in Bethlehem (1 Sam 16:1-13) and the Messiah was to be born in Bethlehem (Mic 5:2). Remarkably, Bethlehem means “house of bread” into which Christ, the “Bread of Life” (John 6:35), is born. Several centuries later, Christ, the true Son of God and Savior of the World, will convert the oppressive Roman Empire to Catholicism and use it to evangelize the world. Rather than being born into earthly riches, Christ chooses to be born into poverty; Joseph and Mary are of the poor, Christ is born in a stable in the small town of Bethlehem and sleeps in a manger (a feeding trough for animals). Rather than being celebrated by powerful political and religious leaders, Christ’s birth is announced by a host (meaning “army”) of fearsome angels to the lowly and rough men who kept watch over flocks at night. As in God’s appearance earlier during the Exodus (Exod 40:35), the glory of the Lord (a fiery presence) accompanies the angel who announces Christ the Lord and Savior is born. Awed by Jesus Christ – Person of the Trinity, Christ inspires men across time to prepare for His Advent and birth. Son of God and Lord of Hosts, Christ directs armies of angels to announce His birth. Divine King, Christ’s eternal power and wisdom thwarts the delusions of greatness of Caesar and other sinful men. 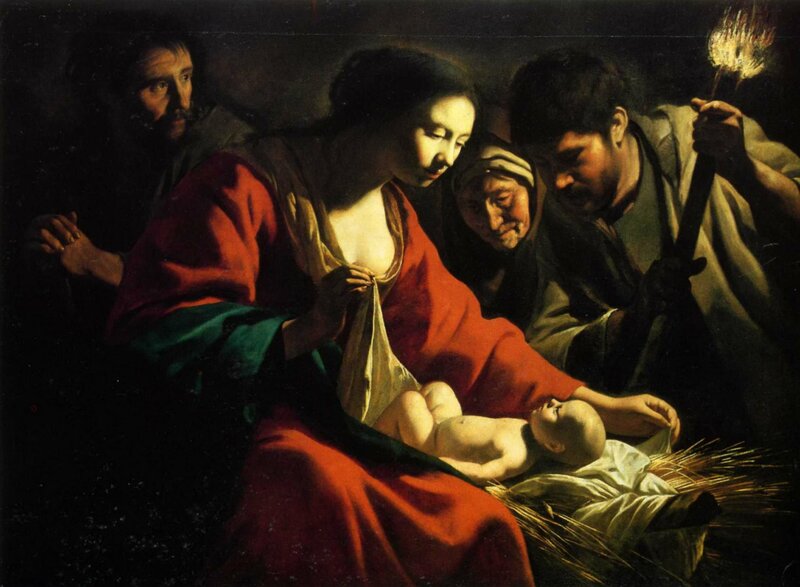 Son of Man and Perfection of Virtue, Christ humbles Himself to be born into the flesh in poverty. 1) Arrogant men of earthly power strut and boast. 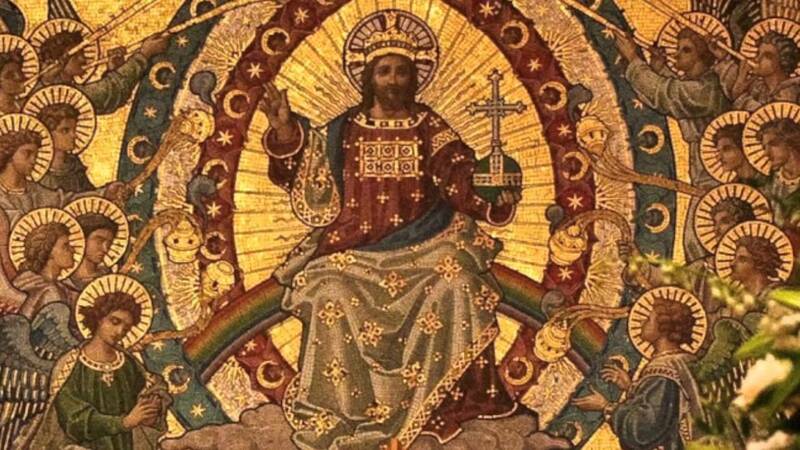 Marvel at Christ, the Son of God and Savior of mankind, who, in contrast to Caesar’s delusions of divinity, humbly appears and actually does rule Creation and saves men from eternal death. 2) Modern “sugary” approaches to portraying the Nativity (children in school plays, lit Nativity scenes with happy animals, “Christmas movies”, etc.) distract from the fearsome supernatural reality of the Nativity. Marvel at the Christmas Mystery (CCC 333, 437, 486, 515, 525-526) and pray for Christ to help you be awed by Him during Christmas time. 3) The deep spiritual meaning of Christmas, like so many Catholic holy days (St. Valentine’s Day, St. Patrick’s Day, Easter, All Hallows Eve), is often overwhelmed by rampant buying and selling. Reflect on Christ’s purposeful decision to embrace Poverty in the Nativity (CCC 517, 520, 525, 1506, 2444) and pray for Christ to help you turn from materialism and to find your peace and joy in Him.